Parable - Her heart was crumbled... 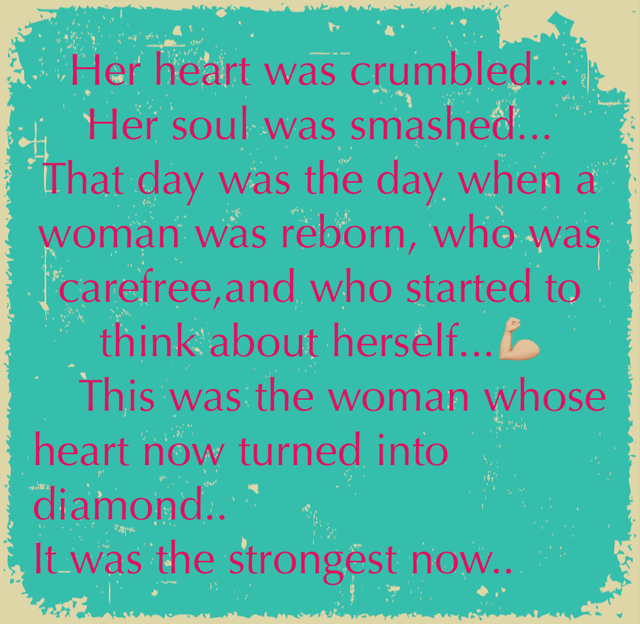 Her soul was smashed... That day was the day when a woman was reborn, who was carefree,and who started to think about herself...💪🏼 This was the woman whose heart now turned into diamond.. It was the strongest now..